The 'Target effect' is real — all those great deals add up. Here are some insider hacks that will help you save. If you're like many of us you may count yourself a Target fan. What's not to love about the cheery stores that somehow manage to make spending so much money so much fun? But do you know all the ins and outs of shopping at Tar-zhay? Maybe not. To get pro-level intel we talked with some superfans of the beloved store as well as a shopping maven. Jen Coleman and Laura Wiertzema run the popular blog Target Does it Again and Joanie Demer is the Krazy Koupon Lady. Here's what they shared with NBC News BETTER. OK, maybe you have app fatigue. So do I. But if you don't have Target's app, you are missing out big time, Demer said. Since last year, the Target app and their savings app Cartwheel have been integrated, so you don't have to fiddle with two different tools. And it's totally worth it. You'll never miss a discount again; just scan any product you're buying and immediately see if there are any savings. “It is an extra step but it's pretty minimal effort,” Demer said. If there are discounts available you can add them then and there (or let your kid hold the phone and do it for you!) and be ready to go at check-out with a single barcode scan in the app's “wallet” for all your savings. You can use it at self check-out, too, Demer said. Or browse offers on your phone ahead of time; Target knows what you shop for so the app will make helpful suggestions (why yes, I will take that extra five percent off my favorite sparkling water! ), or, Demer said, you can sort the offers by what's trending. No worries about burning through your data package, just sign on to the free Target wifi, she said. The app is also helpful for locating items in store — no more wandering around wondering where light bulbs are. 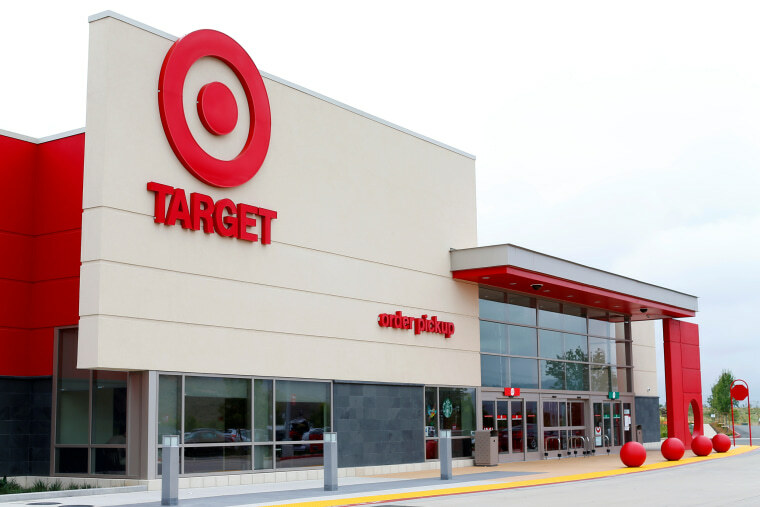 All our experts agreed Target's store card — available as a debit card or credit card — is a must. With it shoppers get a five percent discount, plus free shipping on Target.com purchases. “Definitely get a Target REDcard,” Coleman said. “Five percent really does add up.” The discount is valid on most store purchases, including (good news!) in-store Starbucks. And because Target loves to make it easy for us to spend money, “you can have your REDcard loaded into the app so you just scan it to pay,” Coleman added. Never again will you go to check-out and realize your REDcard is in your other bag or at home, and miss out on the five percent savings. Online shoppers also get free shipping when they use the card at Target.com, and the perks keep piling up: Using the REDcard gets you an extra 30 days to return valid purchases, and if you sign up for Target email marketing they'll send you a 10 percent coupon for use in-store on the anniversary of your sign-up date. Finding a lower price after you've bought something is the worst. Spare yourself the angst by doing a check before you buy and taking advantage of Target's price match policy, which has gotten easier. “You used to have to go to customer service to do it but now every cashier can do it,” said Demer. While they match prices for retailers including Walmart, Costco, and Walgreens, “I particularly love that they price match Amazon,” she said. “The Amazon app has a scan technology, so I open the Amazon app, I scan things I'm buying and it pulls up the Amazon price and they will sell it to me for that price.” It's especially great if you can't wait for shipping but don't want to pay the Target price,” she said; plus if you're using the REDcard you still get the five percent discount. Boom. Those aisle endcaps can be the repository of some cool things with slashed prices, Coleman said, so don't neglect to walk around corners and check them out. Or you can let other people do the homework. “A lot of people troll the clearance aisles,” Demer said, and some like to share their scores online. Follow #targetclearance and “if you see something you like go in and see if they have it. Much of the fun of Target shopping is, of course, discovering all the things you didn't know you needed. But if you need to resist temptation, know this: participating stores offer Drive-Up service. Just do your shopping on the app and head to Target when it's ready. They'll bring your order right to your car and “you won't be tempted to go in and spend more,” Wiertzema said.